Join us for a night of short films that include fantasy-drama, hybrid poetry, narrative and documentary. Our screening will include conversations with the filmmakers about their work. This is Who I Am (Manuel Ibanez (Quechua, Director), Kalvin Hartwig (Anishinaabe, Producer), Janene Yazzie (Dine, Co-Writer), Andrea Landry (Anishinaabe, Co-Writer), Marie-Celine Einish (Naskapi, Protagonist) and Yanis Ait Mohamed (Kabyle, Director of Photography), 2017). “This is Who I Am” is the story of a young Ojibwe woman seeking to reconnect to her language and culture in the big city. 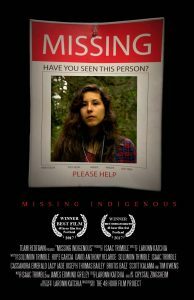 The creative team of filmmakers’ hope is that the film will inspire more Indigenous youth to be proud of their heritage and to take responsibility for their languages, cultures, land and rights. The world is a better place with rich linguistic and cultural diversity and a strengthened identity can help Indigenous youth overcome barriers. “My Once Life” is a hybrid video poem about the continuing impact of colonization on tribal peoples. 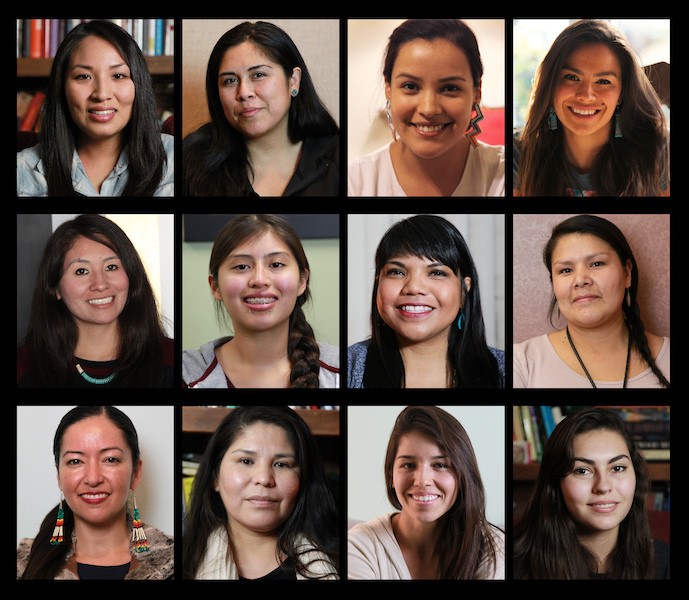 Native people resist their violent history and contemporary political struggles through engaging with deep historical knowledge and creating new oral histories. I asked my native female friends to read my poem for a few reasons; one is that I want to show the diversity of tribal nations living in Los Angeles, and secondly, to show the passion and collective connection we have as Indigenous women to our tribal history. 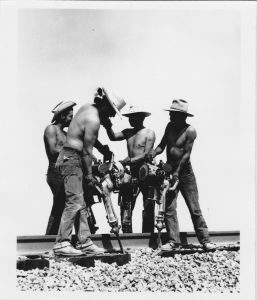 For decades, thousands of Navajos worked the railroads maintaining the trans-continental network. Like the highly skilled Mohawk ironworkers, this connection of aboriginal people leaving their homeland to work conveys a dedication to their livelihood. Metal Road enters the world of Navajo families amid history of railroad work by the 9001 Heavy Steel Gang. 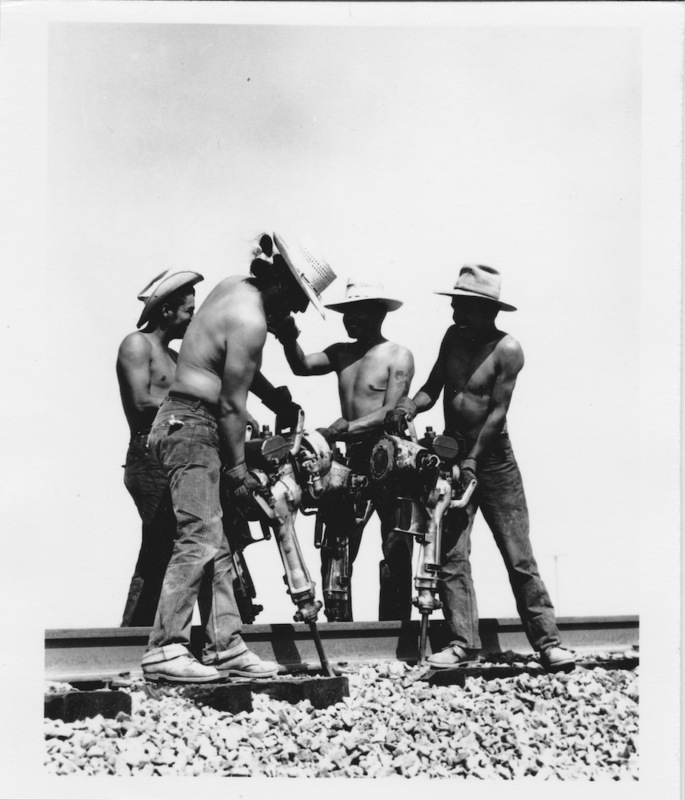 Replacing rails on more than 64,000 miles of track, the unknown journey of the Navajo trackmen in the United States reveals an invisible group of workers striving to earn retirement benefits and inspires us to rethink the American work ethic. LaRonn Katchia is a Director/Cinematographer/ and tribal member of the Warm Springs Indian Reservation. He is currently pursuing a passionate film making career in Portland, OR. LaRonn grew up on the Warm Springs Indian Reservation and transitioned to the city of Portland for film school. His love and passion for film resides from the influence of the commonly mistreated portrayal of Native Americans in Hollywood films today. His mission “is to change the Native stereotypes of film and get it right this time. The Native American perspective is what’s missing in Hollywood today and needs to be brought to light. There are too many untouched original stories waiting to be filmed, and that are being filmed by a Native American director”. Marie-Celine Einish, hails from the Naskapi Nation of Kawawachikamach and grew up in the Cree community of Chisasibi, a part of Quebec that can only be reached by train or airplane. 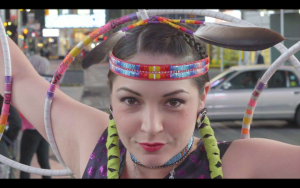 She is a champion hoop dancer and studied psychology at Concordia University. Marie-Celine lives in Montreal and serves as an Associate at National Public Relations – Cabinet de relations publiques National, working in community development and communications for First Nations governments. 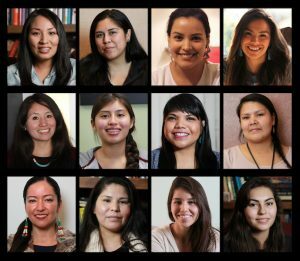 Janene Yazzie (Dine), studied International Politics at Columbia University and is a Human Rights and Indigenous Rights advocate that has made a career out of her advocacy through social entrepreneurship. The co-founder and CEO of Sixth World Solutions, she works to advance economic, environmental and social justice through development of community policy, projects and programs that promote long-term sustainability. Her work is centered on empowerment and founded in Indigenous concepts of seventh-generation planning. Andrea Landry is Anishinaabe and holds a Master in Communications and Social Justice from the University of Windsor. She is the Governance Development Officer of Pays Platt First Nation and teaches indigenous studies and political science at the University of Saskatchewan. Andrea is a former youth executive for the National Association of Friendship Centres and North American Representative for the United Nations Global Indigenous Youth Caucus. She does community work in the areas of grief and recovery, suicide prevention, sexual abuse and family systems. Manuel Ibanez, is Quechua and an award-winning filmmaker. He is a founding member of Habitat Pro Association and the Global Indigenous Youth Caucus to the UN, and is a producer of its documentary, “An Introduction to the UNPFII.” Manuel is a certified cinema director from Inca Garcilaso de la Vega University and the Hollywood Film Institute. He has volunteered and worked for UNTV and holds several television credits as a director, cameraman and producer in diverse media networks in the US. He has produced the feature film “Tales From A Ghetto Klown” along side Oscar winning filmmaker Fisher Stevens. He’s currently in pre-production for an Indigenous TV series pilot for the National Peruvian Television Channel. Kalvin Hartwig, is Bear Clan Anishinaabe from the Sault Ste. Marie Tribe of Chippewa Indians. He holds an MA in International Relations from Yale University, where he focused in indigenous rights and indigeneity. Kalvin also holds a Graduate Diploma in Communication Studies from Concordia University in Montreal. Kalvin was recently the On-Site Country Director for the Peace Exchange, a fair trade organization working in the Democratic Republic of Congo. He is currently working for his Tribal government conducting research for developing a full-immersion language program in Anishinaabemowin for youth living in his community, and on a full-feature film about native identity. 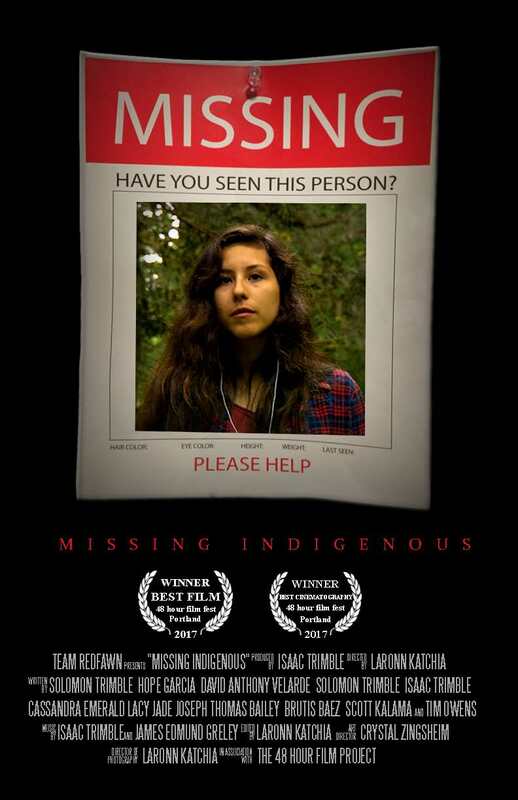 Sarah del Seronde is an instructor in the Cinema/Communications Department at Dawson College and producer for Aboriginal Lens LTD. She is from the Bennett Freeze area of the Navajo Reservation, an undeveloped area of land still in ownership dispute with the Hopi Tribe. She obtained a MA degree in American Indian Studies from University of Arizona. Making the River, a biographical tale of an American Indian charged with the murder of a prison guard, took her inside the Washington State Penitentiary. Sarah Del also directed a film about Navajo Railroaders titled Metal Road. Pamela J. Peters (Diné Nation) is an Indigenous multimedia documentarian born and raised on the Navajo Reservation in Arizona. She has a BA in American Indian Studies and Film Television from UCLA. Her work presents personal stories of contemporary urban Indians in photography and film. She pushes viewers to critically analyze the psychological and historical structures of Native Americans in mass media. Her multimedia work reflects the perseverance of American Indian cultural identities today. She produces living portraits of American Indians reflected through an indigenous aesthetic lens. Pamela works as a culture consultant and native talent referral for many networks such as: FX, Comedy Central, HBO and MTV. She has also professionally produced five award winning films for the Southern California Indian Center’s InterTribal Entertainment multimedia program, co-created film workshops for Native youth, produced PSA’s for Fox Studio’s American Indian Summer Institute program, and co-hosted “Bringing the Circle Together,” a monthly showcase of Indigenous documentaries at the Japanese American National Museum National Center for Preservation of Democracy Tateuchi Forum in Los Angeles.